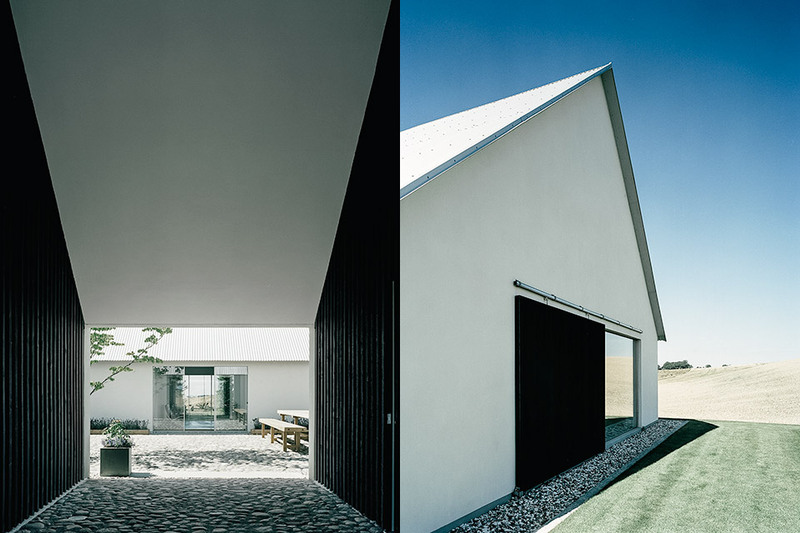 Set in the rural countryside of southern Sweden, the Baron House salutes its plot’s former farm buildings with both its design and materials. The layout follows the same blueprint as the original occupants, keeping the small courtyard at the center of its wings. 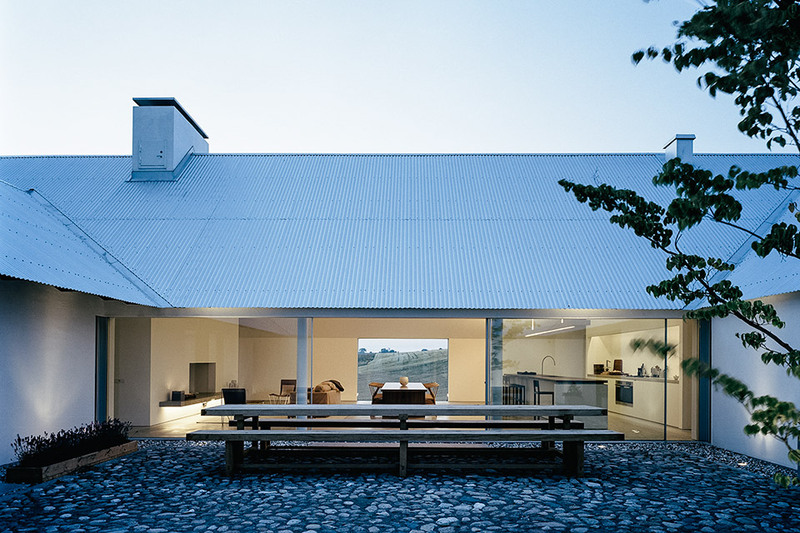 A pitched roof is covered in corrugated zinc, while the cladding maintains a classic white facade and the accents of timber are stained with the traditional Falun black paint. The living areas were left open and clean, using only minimal touches of wood and concret from the furniture and fixtures to break up the white palette. 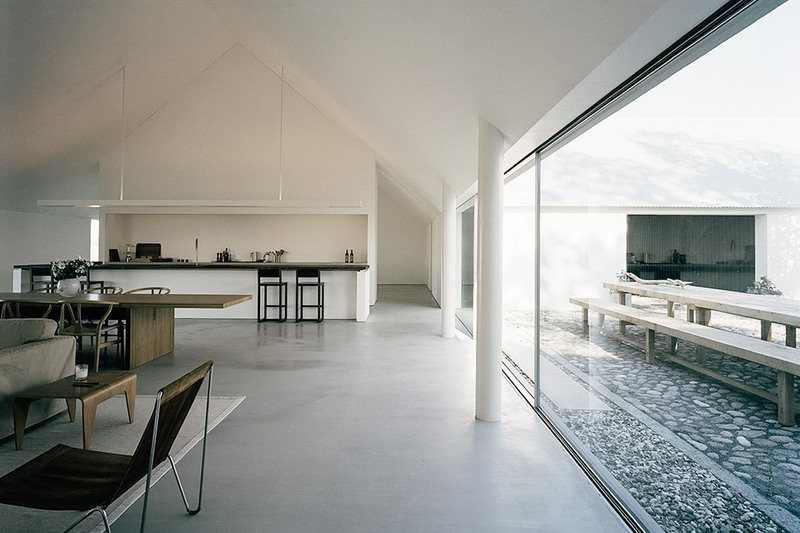 Openings around the perimeter of the home warm the interior with light and frame in views of the endless pastures, as well as the central courtyard.